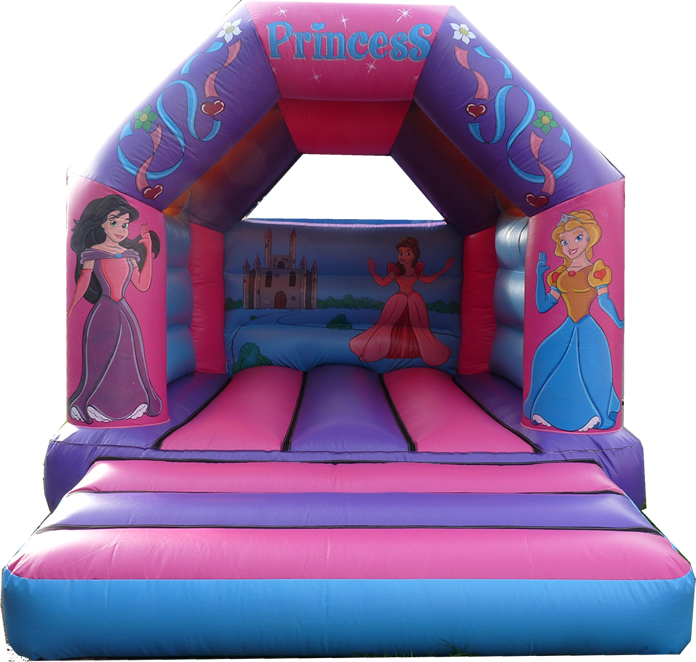 Castle Empire Princess Bouncy Castle is perfect for any little princess. It has striking girly pink and purple colours and amazing graphics of Snow White and Cinderella it's sure to make any little girl's birthday party a dream come true! This unit stands out and would suit girls. High wall and sewn in rain cover, for those rainy days. This inflatable is suitable for children up to the age of 14.